Synopsis: As the story of humanity’s struggles against the monstrous titans continues, new questions are raised as to why there is a titan embedded in the protective walls that guard the city. What more will Eren and the Survey Corps discover? And what is this new, gigantic, beast looking titan walking around? Three episodes into Season 2 of Attack on Titan and I think I have more questions now than answers. It’s not that I expected the new season of AoT to give me answers to lingering questions right away, that isn’t what makes this series that great, but I thought that maybe at least the titan in the wall would be addressed more than it has been thus far. We are seeing that characters are trying to figure out what is going on, and we are seeing steps in the right direction with regards to that issue, but it is being drawn out in the story of the second season. 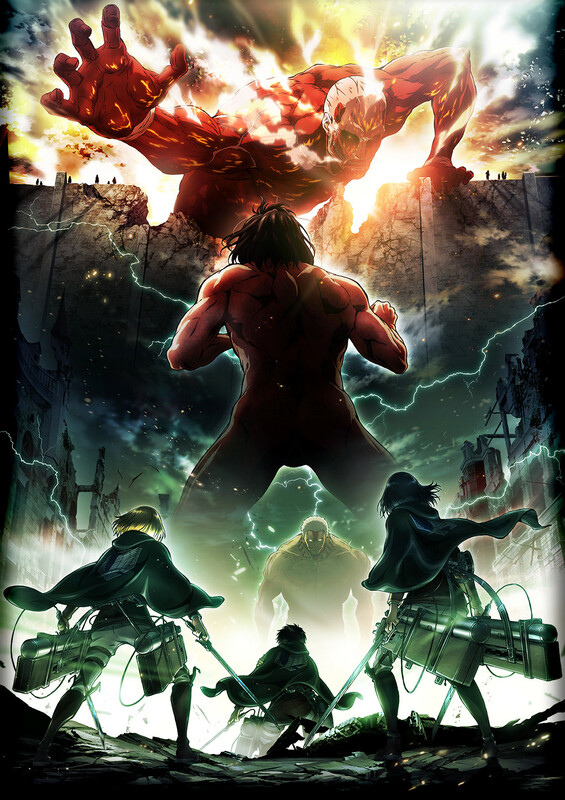 We are also presented with another huge question at the start of the second season: what is that giant beast titan? It’s bigger than most of the other abnormals seen around, and it can talk… but why is it covered in fur and why do the other titans listen to its commands? It’s something that fans of the series unfamiliar with the manga have been questioning since it debuted in episode 26. Maybe the beast titan has something to do with the whales and dinosaurs we seeing in the new intro sequence for the series. I’m not going to rehash some themes that we are all familiar with about AoT that hasn’t been discussed in Season 1 reviews; that would be rather redundant. The animation is top-notch, the writing and story and exceptional, the music is equally as epic, the characters remaining and interesting and diverse bunch… that reminds me. One of the things that I am most excited about is the revelation of the back story to some of the characters that we were introduced to in Season 1. Sasha had a great deal of her story revealed in episode 27, while we started seeing a little bit more of the history of Connie, Ymir, and Krista in episode 28. We are also introduced to some new characters, though most become titan fodder almost immediately. All in all, so far, Attack on Titan Season 2 is off to an amazing start. I’ve been dealing with some feelings of being underwhelmed with what I have seen so far, but that is only because Season 1 was such an amazing series that left fans taught with anticipation that anything sort of a legendary start would be a letdown. That certainly isn’t the case here, just me being a bit overhyped for the return of one of my favorite anime series of the last decade. For what it is, and for doing more than I actually expected in the first three episodes thus far, these three episodes are right on par with where the series left off in 2013. My only issue thus far with Season 2 was finding out that it would only be 12 episodes long after waiting nearly four years for it to debut. Other than that, this is a superb start to the newest season.